Pollonia. 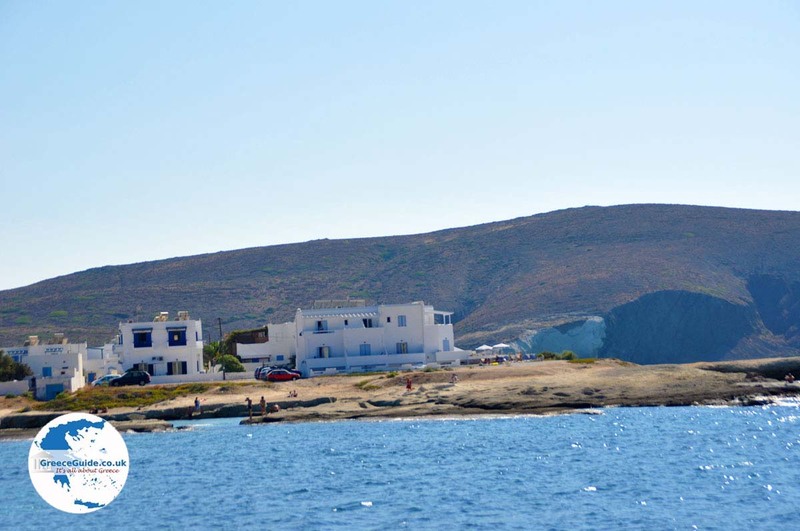 Pollonia is, after Adamas, the second most popular seaside resort of the Greek island of Milos. The name is probably derived from the God Apollo, because a little beyond this location was a temple that dedicated to the God Apollo. 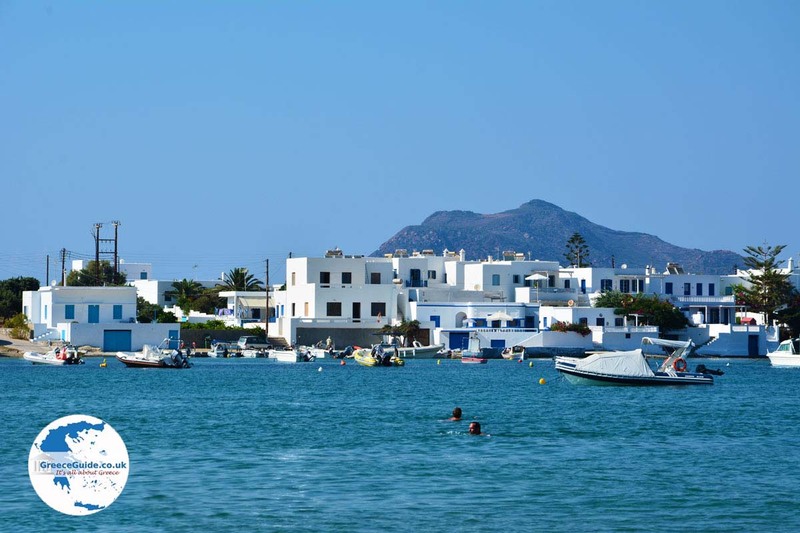 Around the bay of Pollonia, which is sometimes called Apollonia, is a port and a beach. During summer its very lively here. 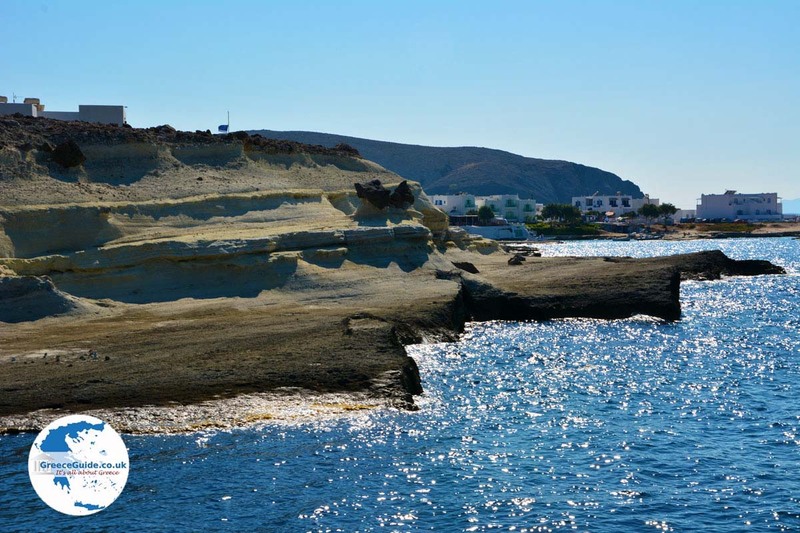 Pollonia is located in the northeastern tip of Milos, just opposite the island of Kimolos. 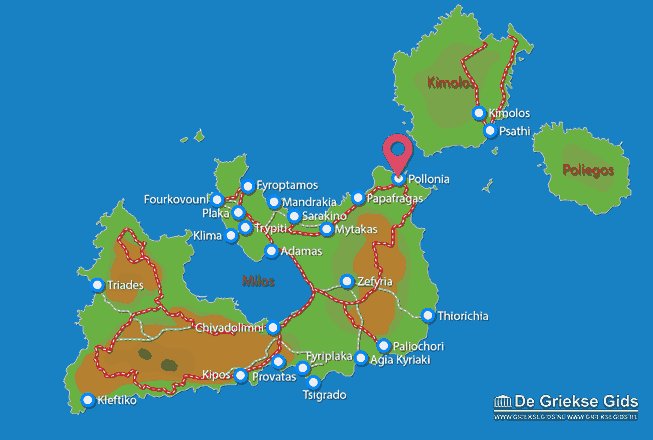 Pollonia is about fifteen kilometers (9 mi) from Plaka and Adamas. By car you can reach it in twenty-five minutes. 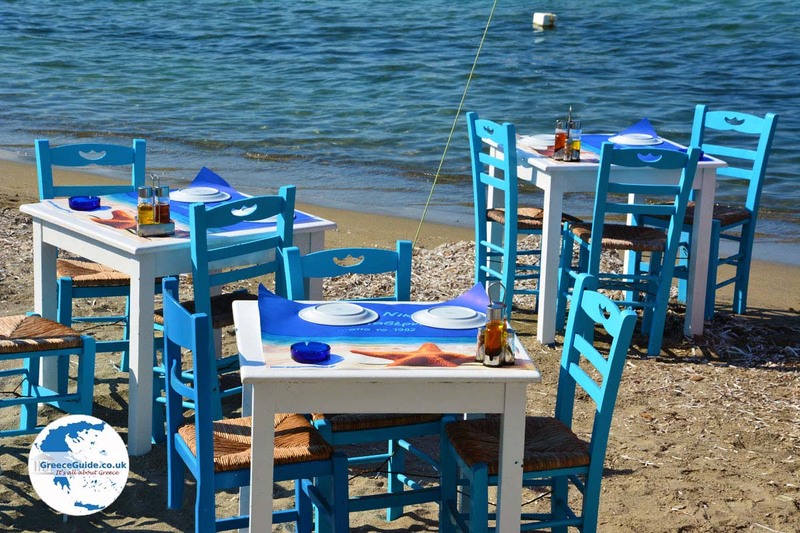 The sandy beach in the village is very popular and at the harbor there are many nice terraces with traditional Greek taverns and cozy cafeterias. 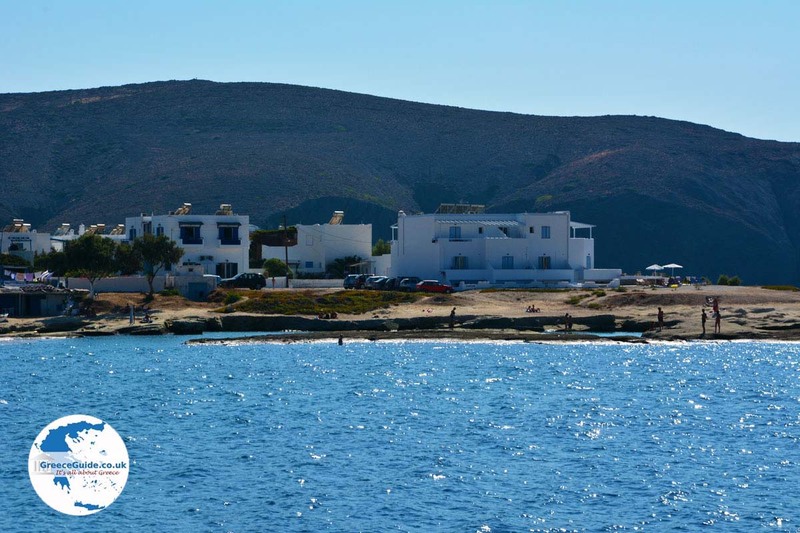 In Pollonia you’ll find many hotels and apartments to rent. 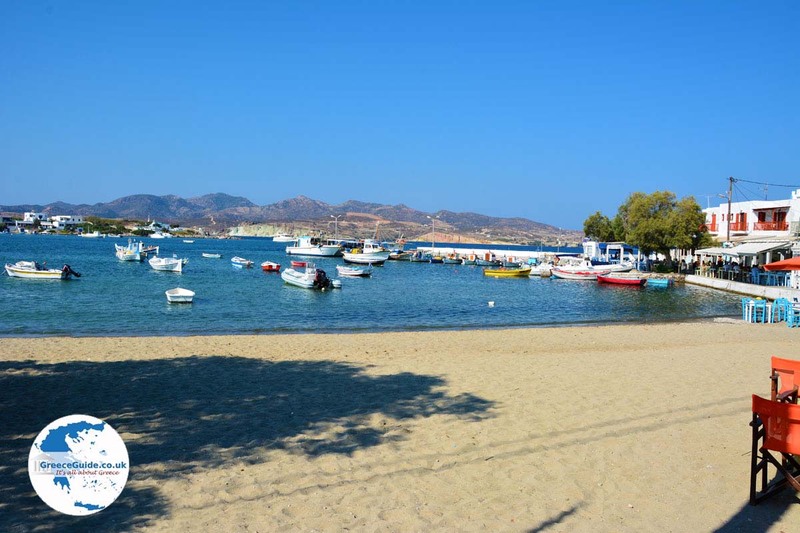 On both ends of the bay are beautiful, typical Greek churches, the church of Agia Paraskevi on the right, and left on the side of the beach, the church of Aghios Nikolaos. 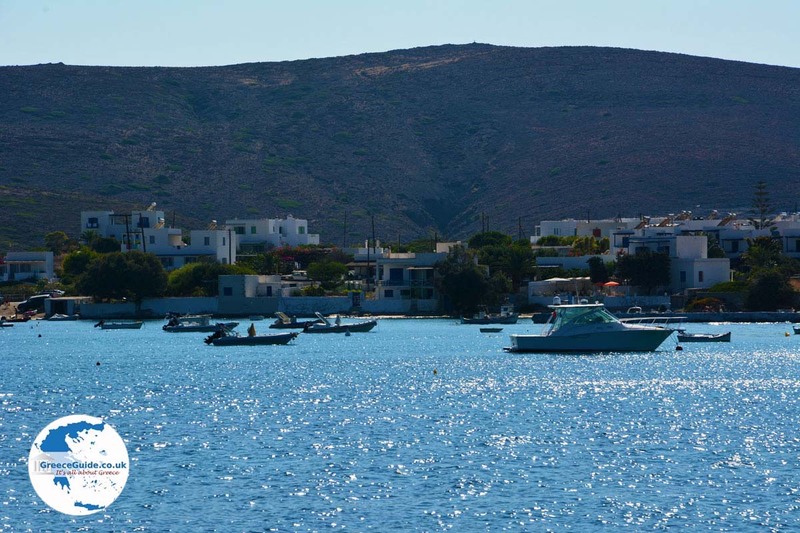 On the other side of the bay, west of Pollonia, is the excavation of Filakopi. 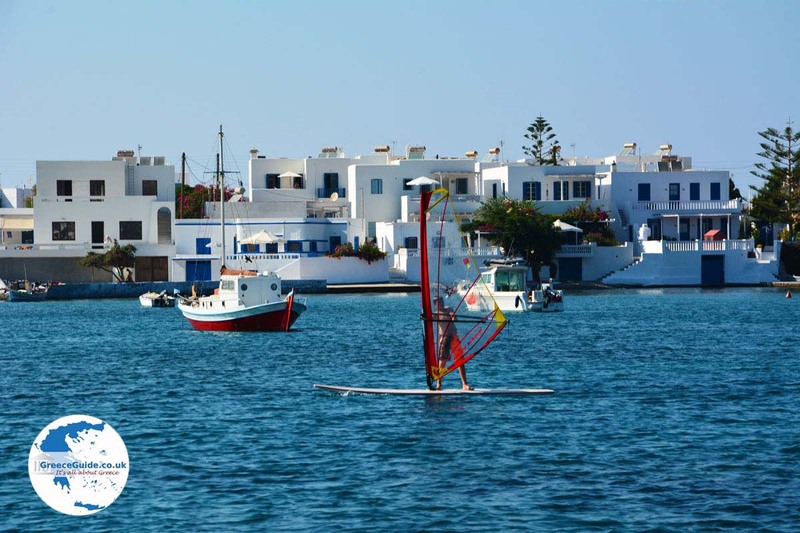 In the period 2200 to 1100 BC, it was one of the main cities of the Cyclades. It also was an important trade center which had dealings with the Minoans from Crete and later the Mycenaean from the Peloponnese. 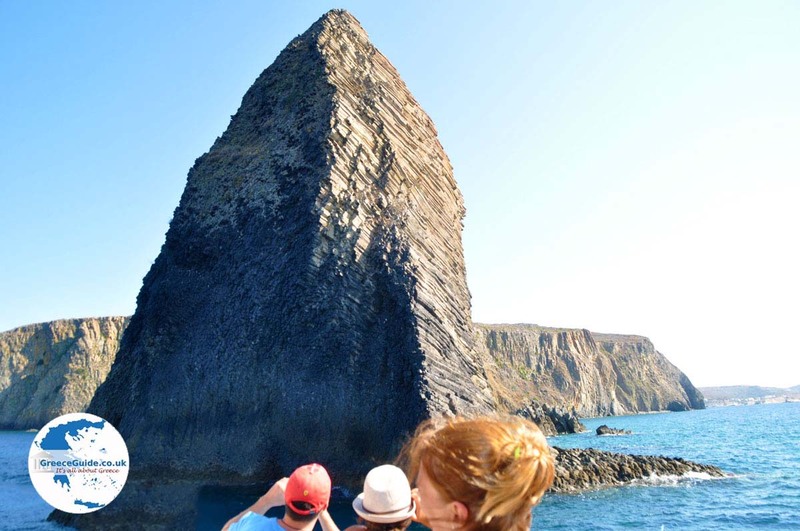 In Filakopi volcanic glass (obsidian) was traded, resulting in prosperity on the island. 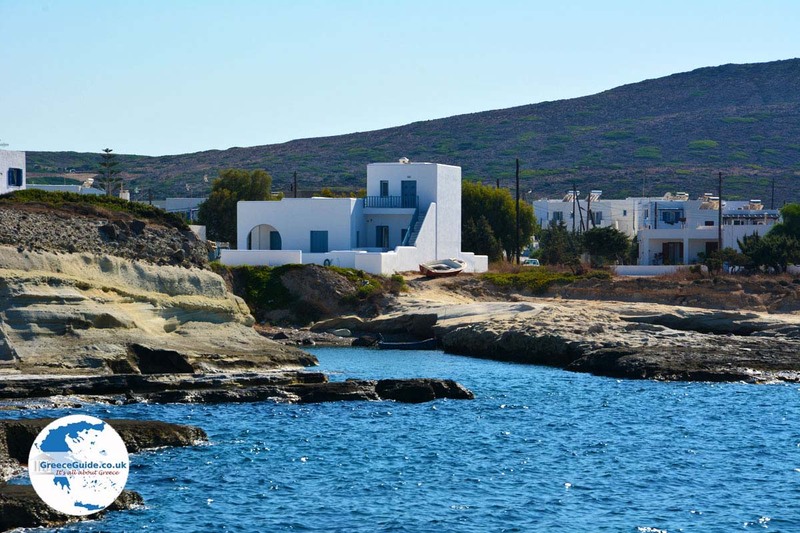 Milos: Where on the map is Pollonia located?